Support research that makes a difference through our safe, secure website. Welcome to the Spring Edition of our e-newsletter. Besides autism awareness month, April was also Child Abuse Prevention month. Although we are well into the month of May, it is never too late to raise issues related to child abuse. Since many individuals on the spectrum have various communication challenges, they are often thought as being more susceptible to bullying as well as physical, emotional, and verbal abuse. Given that child abuse is an extremely serious matter, we suggest that you share this issue with others in the autism community. Erin's Law mandates sexual abuse education for children in schools. The law was first enacted in Illinois in 2010. Currently, Erin's Law is a state education mandate in nine states. In addition, 16 states have legislation in progress and 25 have introduced bills. The law is named after Erin Merryn, a survivor of sexual abuse who spearheaded the law. 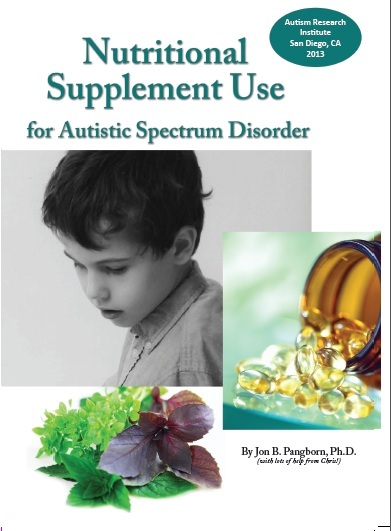 The program adapts materials to the ages and abilities of the children and is presented to students in kindergarten through 5th grade, including many special education programs. In addition to classroom presentations, child advocates also bring the dialogue about prevention to family members. Do you know your school's policy and program for teaching sexual abuse education and prevention? To check on the status of your state law, visit the National Conference of State Legislatures' website. The theme of this year's Child Abuse Prevention Awareness is Making Meaningful Connections. Throughout the year communities are encouraged to share their child abuse/neglect prevention strategies and activities. To commemorate National Child Abuse Prevention Month, the National Criminal Justice Reference Service has posted a valuable resource on their site titled "Special Feature: Child Abuse." This webpage includes a compilation of publications and resources on the prevalence, prevention, and responses to child abuse. The Attorney General's office published a National Task Force Report on Children Exposed to Violence. The National Children's Advocacy Center also hosts an online library with extensive resources including audio and video tutorials describing how to access their database. 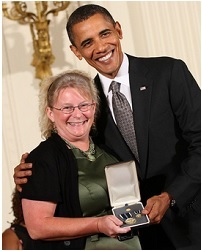 Kimberly McGuiness is a former contributor to our e-newsletter and recipient of the Presidential Citizens Medal for her work as an activist for the deaf and hard-of-hearing. Kimberly, who is also the mother of a daughter with deaf autism, has established a website with over 25 free printable activities for teachers, parents, or other professionals who are teaching or caring for children living with deafness, autism, and/or other challenges. Kimberly has a blog which is devoted to her daughter, Julia, and the needs of so many other families. Kimberly wrote: "I feel it is my duty through our life journey with Julia to share resources and information in the hopes of making a difference in other people's lives and striving to help their journey be a little less bumpy." A free online series provides multidisciplinary perspectives designed: (1) to help recognize early signs of autism with hearing loss, (2) to provide strategies to target effective evaluations and interventions, and (3) to improve services for both the child and family. Closed captioning is offered for each session. You must register in advance for individual sessions. Continuing Education credits are available from ASHA and administered by Audiology Online.